Leading US astronomers are mulling plans to start beaming messages about Earth to hundreds of star systems with potentially inhabitable planets, according to the SETI (Search for Extraterrestrial Intelligence) Institute in California. “There could be many civilizations out there but if they are all listening and no one is broadcasting then nothing will happen,” astrophysicist and SETI’s chief executive, David Black, told the Sunday Times. 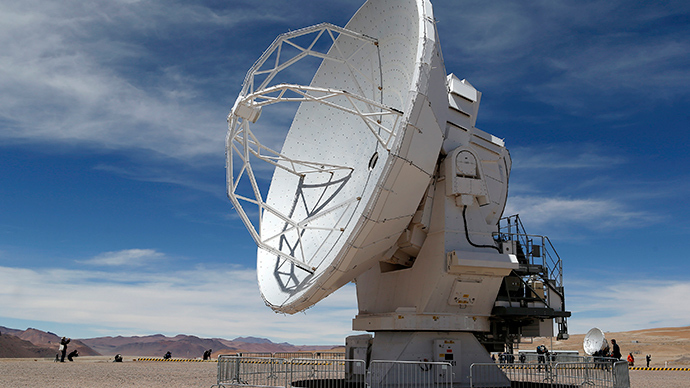 The idea is to transmit regular messages via the radio telescopes. The message would have to be detailed enough to provide information about the human race. One idea is to send the entire Wikipedia database. Drafting such a message would be quite a task and scientists have not yet decided how to go about it just yet. “One question is...if we go ahead, what message should we send? Should it be the work of a few scientists or should we involve the whole world, perhaps through the internet?” Black said. If the project is approved, its messages will have the radius of up to 20-light years from Earth. The new initiative is scheduled to be discussed at the annual meeting of the American Association of Advancing Science next week. Despite widespread support for the project, some prominent scientists, including Stephen Hawking, have criticized the idea of inviting alien life to Earth. Is USA administration asleep with regard to the danger posed by Seti's desire to advertise human existence to potentially inimical aliens? “If aliens do visit us, the outcome would be much as when Columbus landed in America, which didn’t turn out well for the Native Americans,” he is quoted as saying in a 2010 documentary. In 2011, NASA’s Planetary Science Division released a report titled: ‘Would Contact with Extraterrestrials Benefit or Harm Humanity? A Scenario Analysis,’ where they listed several outcomes of what would happen if Earth was indeed discovered by aliens. The three possible scenarios examined were beneficial, neutral, or harmful. The harmful scenario warned that if aliens ever do ever come to our planet, humans are at risk of simply being crushed, or they might contract new diseases, or face the risk of being enslaved or eaten. In the report, researchers urged caution when sending out signals about Earth into space, especially those indicating environmental damage to Earth and human biological make-up. “For half a century SETI has been searching for something that we ourselves do not produce: Deliberate transmissions towards distant worlds,” director of Interstellar Message Composition at the SETI Institute, Douglas Vakoch, said. Back in 1974, the Arecibo Radio Telescope was employed to send out the largest beam in human history into space from Puerto Rico. The message consisted of a simple image and was aimed at the globular star cluster M13, which is 21,000 light years away.